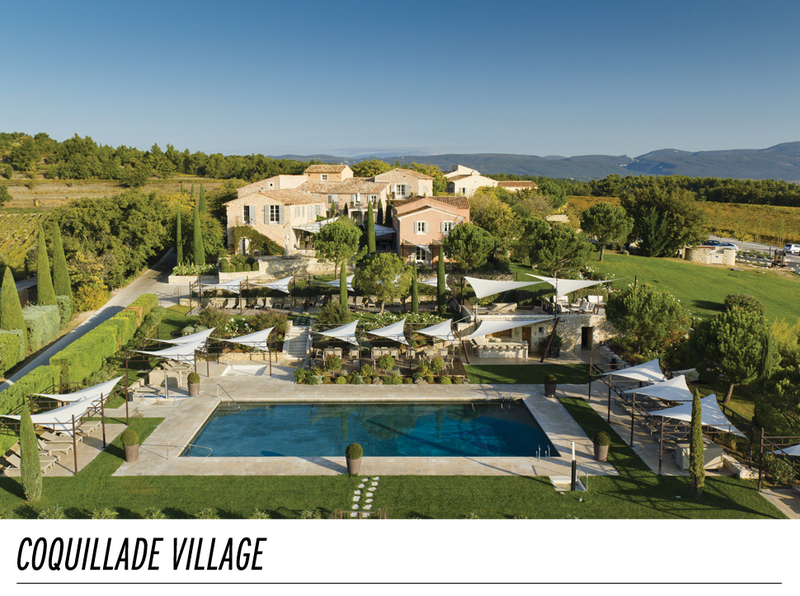 Perched at the top of a hill, at the heart of a vineyard, with the Luberon and the Mont Ventoux for sole landscape, as a luxury hamlet, Coquillade Village offers several exceptional farmhouses, one of which dates back to the 11th century. 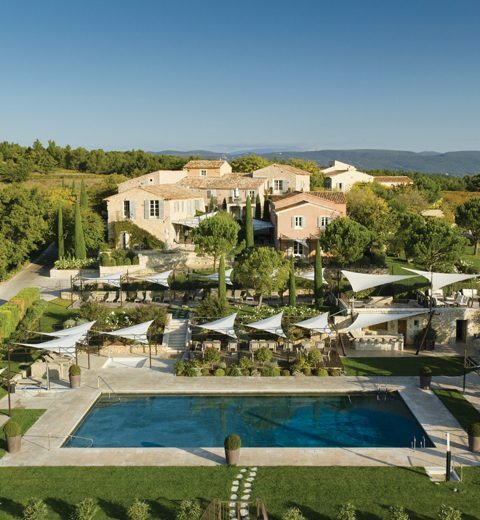 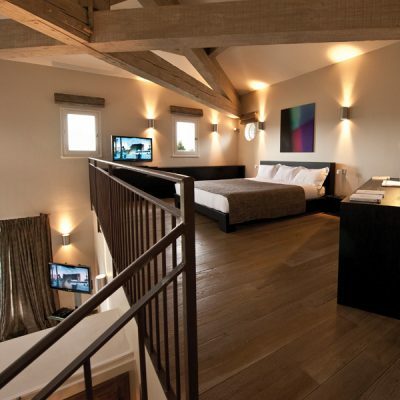 Decorated in a contemporary style respecting Provence’s touch, the rooms and suites with embellished with private spaces open on gardens lined with sculptures from renowned artists, lavender and cypress. 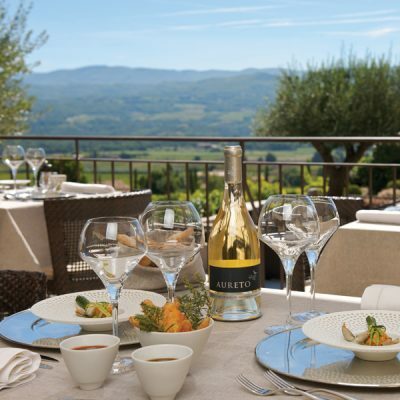 Enjoy your breakfast under the olive trees, taste the vineyard’s wines, lay around the swimming pool, discover the region’s richness on foot or by bike, enjoy the “Coquillade SPA & ENERGY”, golf on the shiny greens of the region, … Lovers of refinement, authenticity, tranquillity, nature, sport, gastronomy, oenology, history and culture, this idyllic place is just what you are looking for!